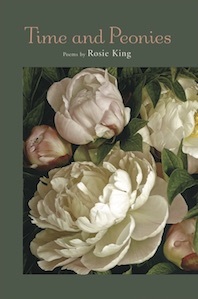 In Time and Peonies, Rosie King delves deeply into poems of family and childhood, the community of friends, loss and joy. She has become attuned to what Kenneth Rexroth calls luminous moments. Her poems are infused with a lucid abundance, a kindness and charity that enlarges the spirit. Even in the face of loss she salvages hope and courageand Im filled again/with a crush of old sweetness/at how giving a moment can be as it vanishes. These are poems that shine like river stones, polished by long immersion in the waters of the spirit. It didnt matter that I had other things to do the afternoon I sat down to read Rosie Kings Time and Peonies. Once I entered the poems, hers was the only world I was certain of. Each poem reads almost like a chapter in a novel. There is a softness, strength, and sureness in Rosies tellings. Try to stop after reading and savoring just one poem: go ahead, I dare you! Rosie King was born in Saginaw, Michigan. A graduate of Wellesley College, she came west in 1966 and did her masters degree at San Francisco State and her doctorate in Literature at UC Santa Cruz where she taught beginning poets and wrote a dissertation on the poetry of H.D. 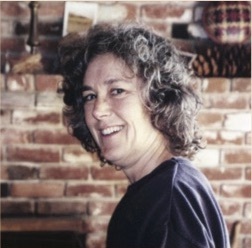 Her poems have appeared in various journals and four poems from her first book, Sweetwater, Saltwater (Hummingbird Press, 2007), were read by Garrison Keillor on The Writers Almanac. When not traveling, she makes her home, with pond, fruit trees, and garden, near the beach in Santa Cruz.  Some nights youre blessed on Saturday, April 15, 2017.  In Spring on Tuesday, May 9, 2017.  Again on Tuesday, July 11, 2017.